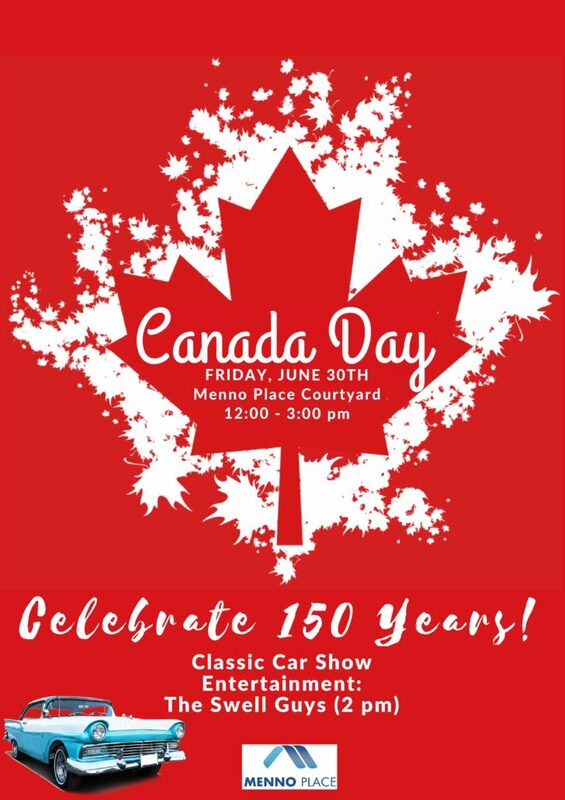 Please join us for the 150th Canada Day Celebrations coming up on Friday, June 30th! We will be having a Classic Car Show and entertainment by The Swell Guys at 2:00 PM. Festivities start at 11:00 AM in the Menno Place Courtyard.